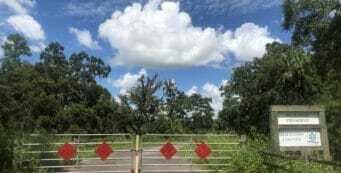 Hiking Dade City | Florida Hikes! 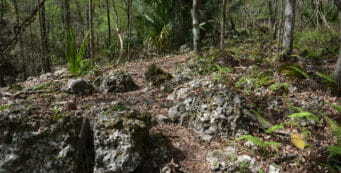 Gateway to the vast Green Swamp, which is not a swamp like the Everglades but a mosaic of pine flatwoods and cypress strands where the Withlacoochee, Hillsborough, Peace, and Ocklawaha Rivers arise, Dade City offers easy access to day hikes and backpacking trips in the vast green spaces of Withlacoochee State Forest and water management district lands as well as several state parks. 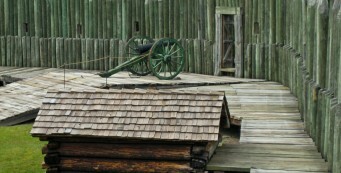 Fort Foster State Historic Site- Part of Hillsborough River State Park, Fort Foster State Historic Site takes you back to the era of Florida's earliest pioneer settlers and their clashes with the native Seminoles. 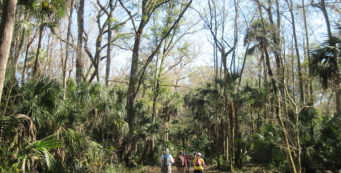 Hillsborough River Hiking Trails- One of Tampa's oldest parks, Hillsborough River State Park has a 5.8-mile trail system as its centerpiece, through old-growth forest and along river rapids. 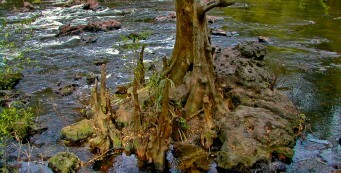 Hillsborough River State Park- Water in motion: the Hillsborough rapids foam and froth over limestone boulders beneath grand cypress trees in Class II rapids. 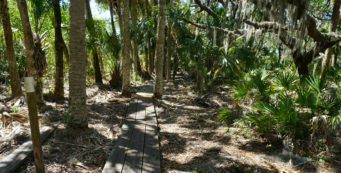 One of Florida's oldest state parks, Hillsborough River State Park showcases this masterpiece of nature from an overlook and trail system built by the Civilian Conservation Corps. 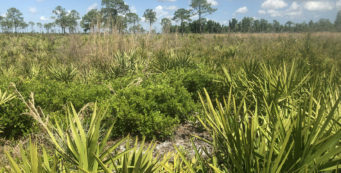 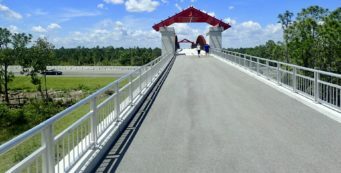 Oak Ridge Equestrian Area- A mosaic of cypress floodplains, pine flatwoods, and sandhills, the Oak Ridge Equestrian Area is a thousand-acre woodland with 18 miles of trails burrowing deep into the forest. 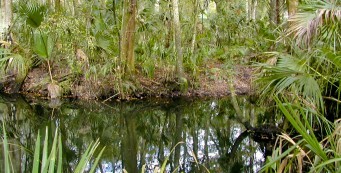 Upper Hillsborough River Hiking Trail- A linear trail, the Upper Hillsborough River Hiking Trail meanders through pine flatwoods, oak hammocks, and floodplain forests along the edge of the Hillsborough River basin. 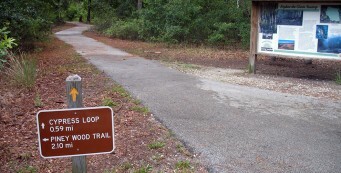 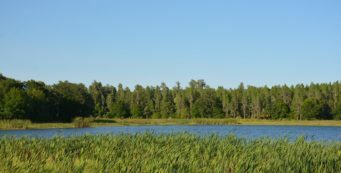 Withlacoochee River Park- With two different trails - gentle and wild - showing off the park's natural features, Withlacoochee River Park is a popular overnight camping destination.